Freebie Friday Roundup: Lego, Pillsbury + More! Freebies Roundup is provided by Wendi, who blogs at TheFreebieBlogger, where she finds you 100% free items each and every day. 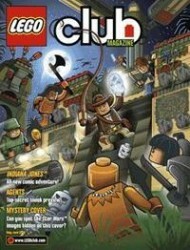 Lego is offering some great freebies that include Magazines, Software and Coloring Pages. Sign up for the Pillsbury Newsletter and get a free$10 Coupon Booklet. Get a coupon for a free Burger & Fries at Denny’s when you sign up for the eclub on select dates. Get a free Making Life Better recipe book when you text the word COOKING to the number 467467. Hilleburg Tentmakers is offering a free 2010 Tent Handbook. Call in for a FREE PediaSmart or Baby’s Only Organic Formula Sample. HispanicBusiness.com is offering a free subscription to Hispanic Business Magazine. The Humane Society of the United States is offering a free “Give Wildlife A Brake” Bumper Sticker. Kids can earn a free Colgate Kids Toothbrush when they learn about healthy bedtime habits when you sign up. Sweetbird is offering a free Smoothie Sample. Sign up for possible Old Spice Samples and Coupons by joining the Shaving Crew. 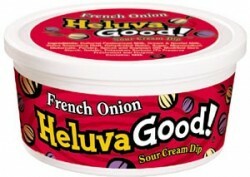 Become a fan of Heluva Good! on Facebook, and then fill out the form on the promotions page to get a FREE Heluva Good! product coupon! This sample won’t go live until tomorrow morning (1/29), but I wanted to give you the heads up now. Fill out this form to score a FREE sample of new Pampers with Dry Max! 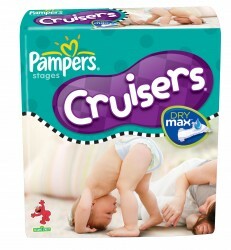 You’ll receive a 3-pack of Pampers Cruisers with Dry Max to lock wetness away up to 12 hours. But it gets better — Pampers is a sponsor of Team USA in the Winter Olympic Games this year. To celebrate the launch of this high performance diaper, Pampers has outfitted Team USA babies in branded Team USA Pampers Cruisers with Dry Max. You won’t be able to buy these exclusive diapers in stores, but if you happen to find one in your sample pack, you’ll win a year’s supply of Pampers diapers! 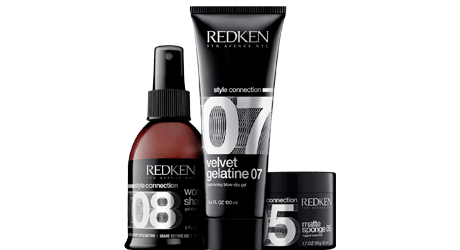 I’ll be sure to Tweet and post a message on Facebook tomorrow when the sample is available! Today only (1/28), you can score a FREE $5 Babies R Us gift card when you become a fan on Facebook! Just click on the button to become a fan and then fill out the form on the Signup page. Offer valid 1/28/10 only. Quantities limited; no rain checks. Limited one per guest.